Redlands Estate, the historic farm that will be home to Tasmania’s ninth malt whisky distillery, will be opened to the public by premier Lara Giddings on Wednesday. 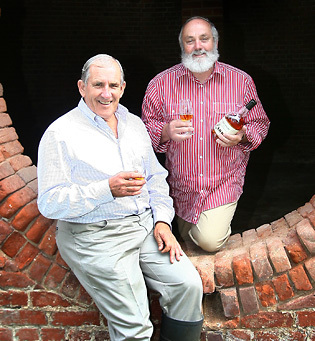 Tasmanian whisky pioneer Bill Lark and wife Lyn are setting up the new distillery together with the Hope family, the owners of the estate. They were awarded a $110,000 Tasmanian Government tourism grant for their proposal to offer “a complete whisky tourism experience – enabling visitors to Redlands Estate Distillery to trace the production of malt whisky from paddock to glass”. Lark told TheShout this morning that the still is being installed at Redlands “as we speak” and will be operational in two or three weeks’ time. To fast-track the maturation process, he said Redlands will be ageing its first whiskies in smaller format oak. “What we’ll be doing is putting out some 20-litre casks and quarter casks. Those little 20-litre casks we anticipate being ready for release between the second and third year of operation,” he said. In the meantime, Lark said the cellar door at Redlands will be set up as a whisky bar selling a range Scottish and Tasmanian malt whiskies. And by early next year, an interim whisky distilled by Lark Distillery but broken down and bottled by Redlands on the estate will be available for sale under the Redlands label. Eventually Redlands will be, “alongside Kilchoman in Scotland, the only other distillery that we know of in the world producing single malt whisky from paddock to barrel”, Lark said.